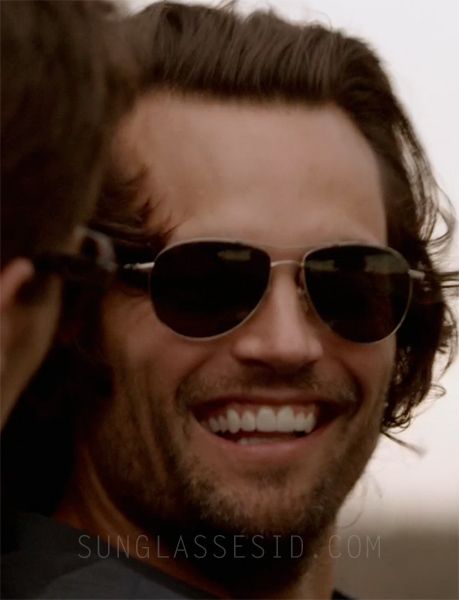 Scott Elrod wears a pair of Oliver Peoples Benedict sunglasses in the movie Home Run. It looks like he is wearing the version with silver frame and Midnight Express Polar lenses. Get these glasses at the Oliver Peoples store or at Amazon.com. Scott can also be spotted wearing Oakley Radar sunglasses in the same film. Other actors wearing Oliver Peoples Benedict sunglasses are Bradley Cooper, Michael Douglas and Robert Downey Jr.